PERKINS, Carl Dewey, (father of Carl Christopher Perkins), a Representative from Kentucky; born in Hindman, Knott County, Ky., October 15, 1912; attended the Knott County grade schools, Hindman High School, Caney Junior College (now Alice Lloyd College), Lees Junior College, and was graduated from Jefferson School of Law (now the University of Louisville Law School), Louisville, Ky., in 1935; was admitted to the bar in 1935 and commenced the practice of law in Hindman, Ky.; in 1939 served an unexpired term as commonwealth attorney from the thirty-first judicial district; member of Kentucky General Assembly from the ninety-ninth district in 1940; elected Knott County attorney in 1941, reelected in 1945, and resigned January 1, 1948, to become counsel for Department of Highways, Frankfort, Ky.; during the Second World War enlisted in the United States Army and saw service in the European Theater; elected as a Democrat to the Eighty-first and to the seventeen succeeding Congresses and served from January 3, 1949, until his death; chairman, Committee on Education and Labor (Ninetieth through Ninety-eighth Congresses); was a resident of Hindman, Ky. until his death August 3, 1984, in Lexington, Ky.; interment in Perkins Cemetery, Leburn, Ky.
Papers: 1949-1984, approximately 353 cubic feet. The Carl Perkins collection contains personal, business, and congressional papers and correspondence, including photographs, motion picture film, video tape, sound recordings, and memorabilia. A finding aid is available in the repository and online. Oral History: 1977, 2 interviews. Interviews of Carl Perkins for the Bert T. Combs project (58 minutes) and the Robert R. Martin project (33 minutes). Oral History: ca. 1981-1987, approximately 50 indexed taped interviews. The Carl D. Perkins oral history project contains interviews with friends and colleagues. Carl Perkins was not interviewed for this project. Oral History: 1983, 24 pages. An oral history interview with Carl D. Perkins on May 12, 1983. A description is available in the library. Damron, Donald Reid. "The Contributions of Carl D. Perkins on Higher Education Legislation, 1948-1984." Ph.D. diss., Middle Tennessee State University, 1990. Ralph Nader Congress Project. Citizens Look at Congress: Carl D. Perkins, Democratic Representative from Kentucky. Washington, D. C.: Grossman Publishers, 1972. Reeves, Andree E. Congressional Committee Chairmen: Three Who Made An Evolution. Lexington: University Press of Kentucky, 1993. U.S. Congress. House. 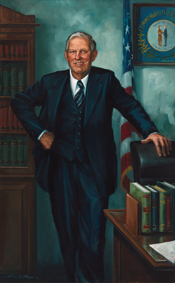 Memorial Services Held in the House of Representatives and Senate of the United States, together with tributes presented in eulogy of Carl D. Perkins, Late a Representative from Kentucky. 98th Cong., 2nd sess., 1984. Washington: Government Printing Office, 1984.